You know who Reese Witherspoon is, right? If you’re an American (especially a Southerner) between the ages of 0 and 100, you should’ve answered “yes” to that question. Well, I’m so excited to be featured today on the blog for Draper James, Reese’s fabulous clothing line! 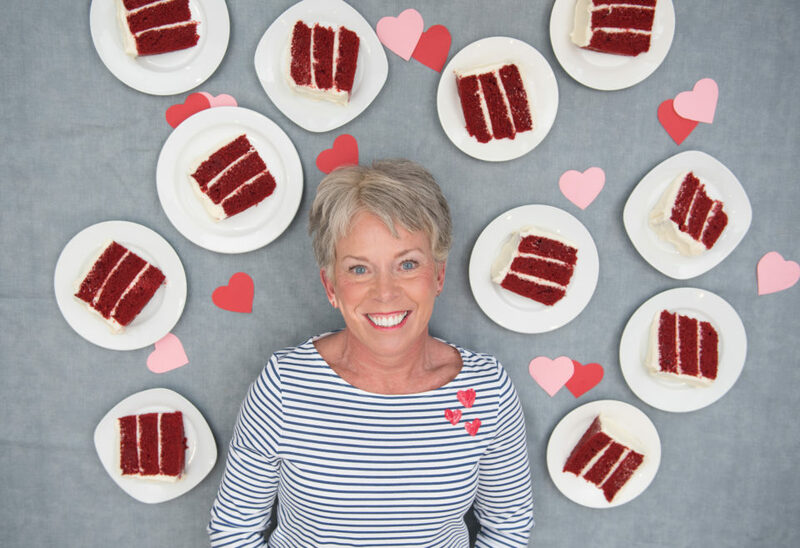 I’m sharing my recipe for Red Velvet Cake, an exclusive from The VeryVera Cookbook: Recipes From My Table. Recreating one of my favorite cookbook shots! I LOVE the striped tee they sent me for this shoot. 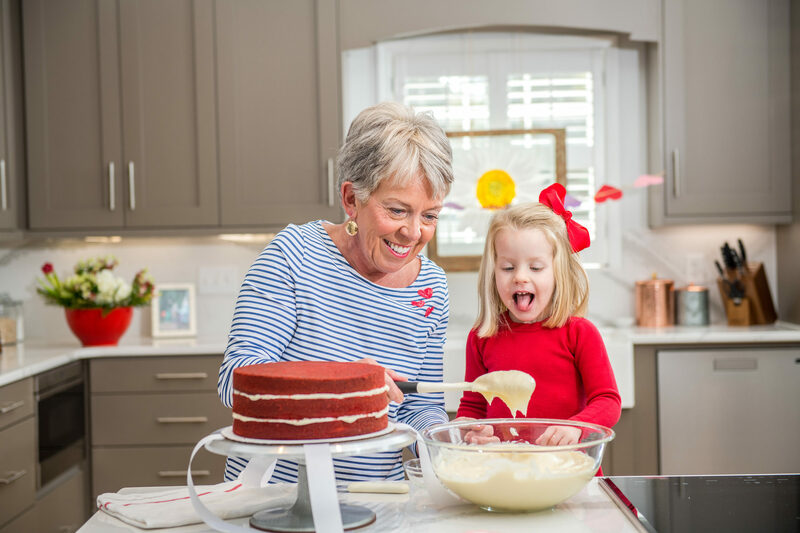 It’s perfect for Valentine’s Day cake decorating with Lucy! Thank you to Draper James for the feature. Go check them out!